It’s almost Valentine’s Day, one of my favourite days of the year. I’m a total sucker for anything pink, red, and love heart shaped, and all of the novelty cuteness that fills the shops. 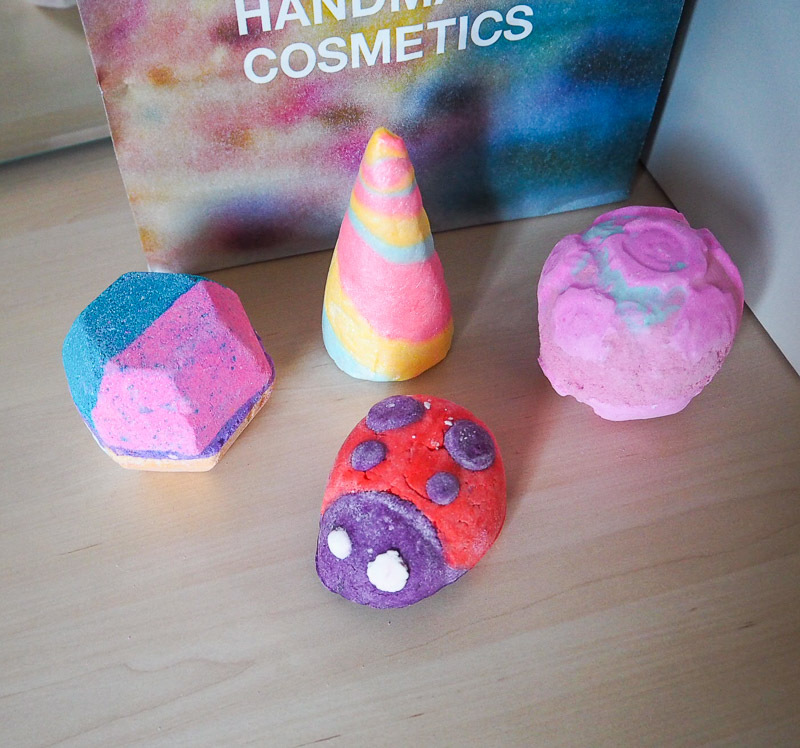 Today I thought I’d share with you some Lush goodies I got as a pre-Valentine’s gift. I’m a big Lush lover. 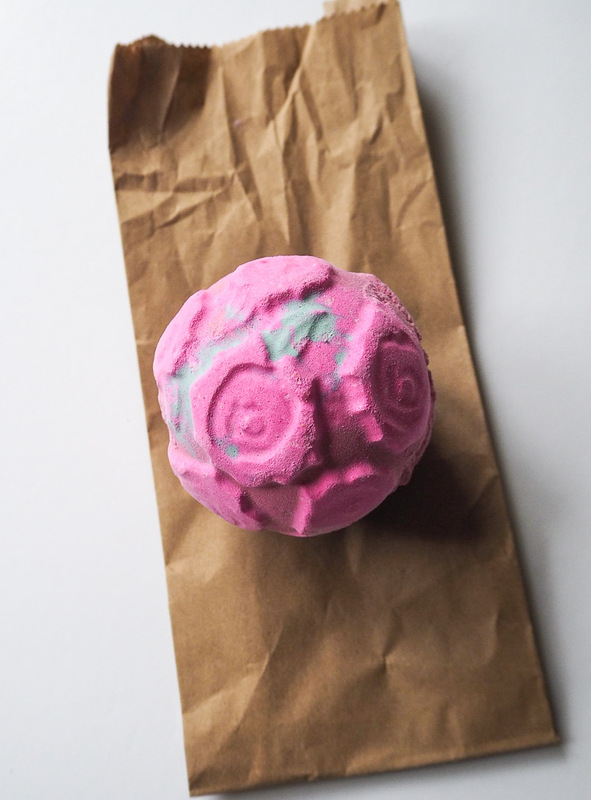 They have so many incredible things, but my favourites are the bath products. Not only do they smell amazing, but having a hot Lush bath always helps with my aches and pain. I also struggle with sleep because of my fibromyalgia, and I have a hard time turning my crazy mind off at night. So having a nice relaxing bath before bed often helps me. My one true Lush love has to be their Snow Fairy scent, and in particular the Snow Fairy shower gel that they bring out at Christmas time. It is an utterly perfect concoction of girly, sweet, sugary, shimmery goodness. I get it every year and it’s one of my favourite smells in the entire world. 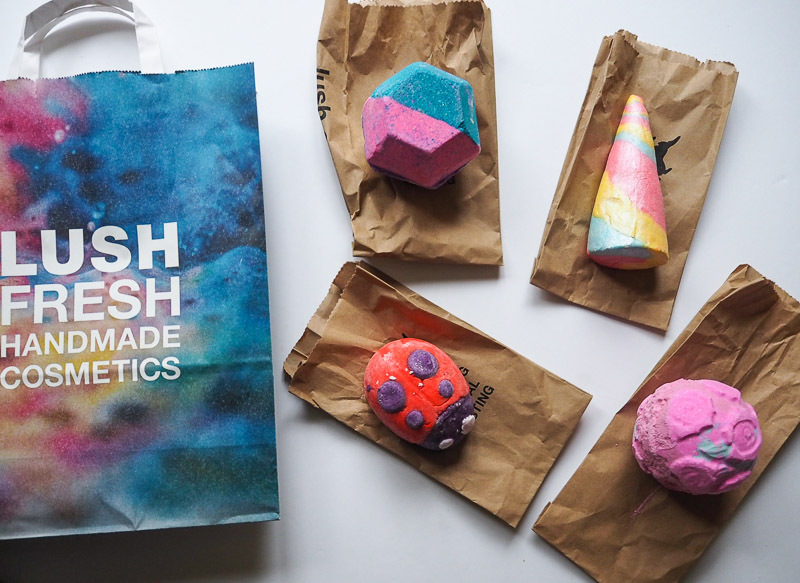 At the moment, Lush has their limited edition Valentines and Mother’s Day collections available which consist of some gorgeous options. They always make a perfect Valentines gift, either as a present to yourself or from a loved one. Last week, I went in store and got a few new bits to enjoy. 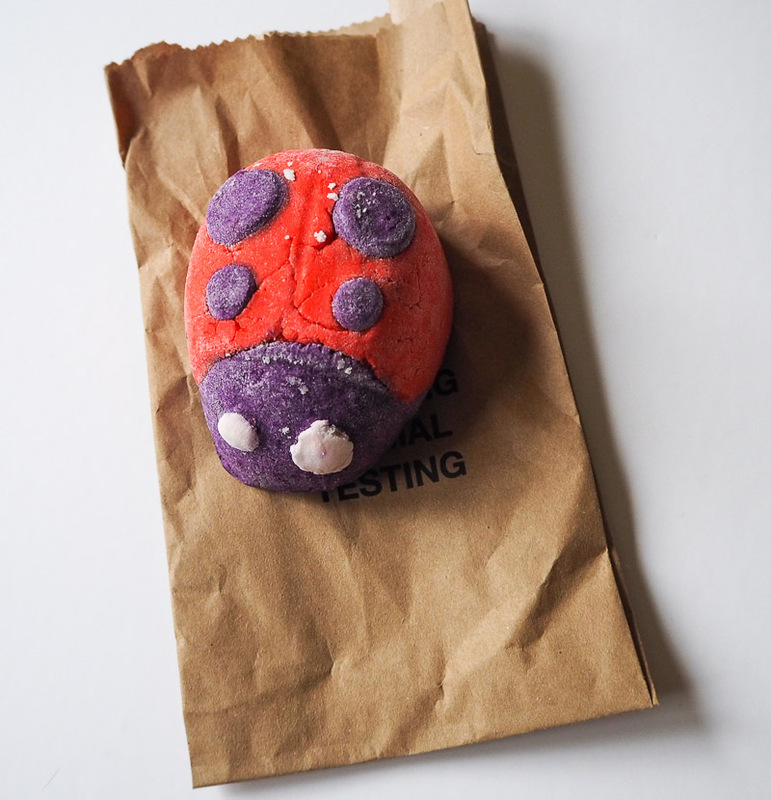 This little baby is from Lush’s Valentines range. 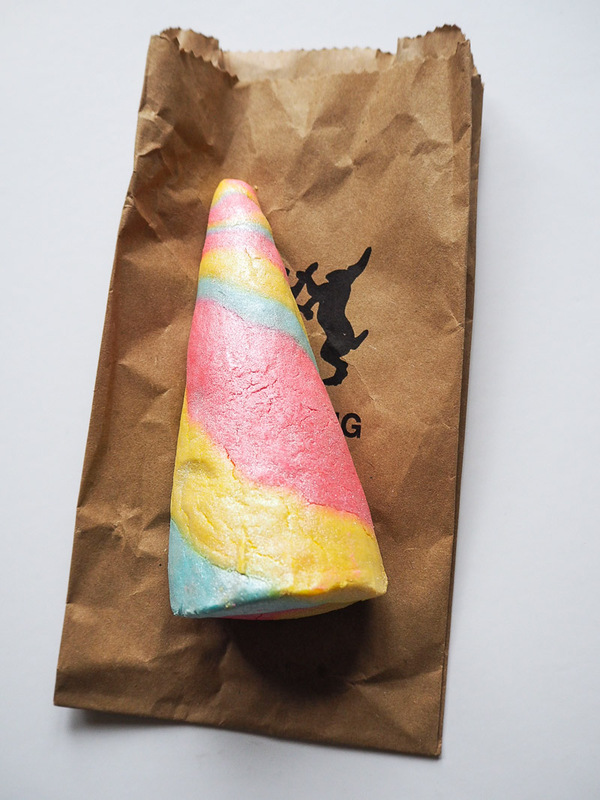 I’ve already mentioned in my Coconut Lane post how much I love unicorns, so how on earth could I not get this multi-coloured unicorn horn? Lush bubble bars are probably the products I use most. I love a good bubble bath. I personally like to cut the bubble bars in half so I get two uses out of them, and I always find half gives me lots of lovely bubbles. This magical horn contains relaxing lavender oil and mood brightening neroli, perfect to fill the bathroom with feel good scents while you enjoy the bubbles. The lavender is the most prominent scent and it smells beautiful. It also has the prettiest lustre shimmer to it, and makes the water a nice soft pink shade. This bubble bar is actually from the Mother’s Day range. Look how cute it is! Not only is it crazy adorable, but it also smells so good. It’s actually very hard to describe. It contains peppermint oil and geranium oil, and even though it might sound like a bit of an odd combination it just works. It has a very sweet smell which is what I tend to go for, but it’s quite a fruity and minty sweetness. You can definitely smell the mint, but it’s like a very sweet, candy like mint that I absolutely love. It created beautiful fragrant bubbles in lovely red coloured water. Also from the Mother’s Day collection, this beautiful pink bath bomb is a trifecta of rose. It contains rose absolute, rose oil, and what’s more it has yellow rose petals inside that will burst out in the water as the outer shell fizzes away. It also has a rose pattern on its surface with soft green petals. I’ve been dying to use it but I wanted to save it for this weekend. I can’t wait. It’s another sweet smelling product with lots of floral notes, just the way I like it. If you’re familiar with Lush’s Rose Jam scent, it’s very similar to that. This bath bomb is something quite special. Its hexagonal prism shape comprises of 5 different vibrant colours. 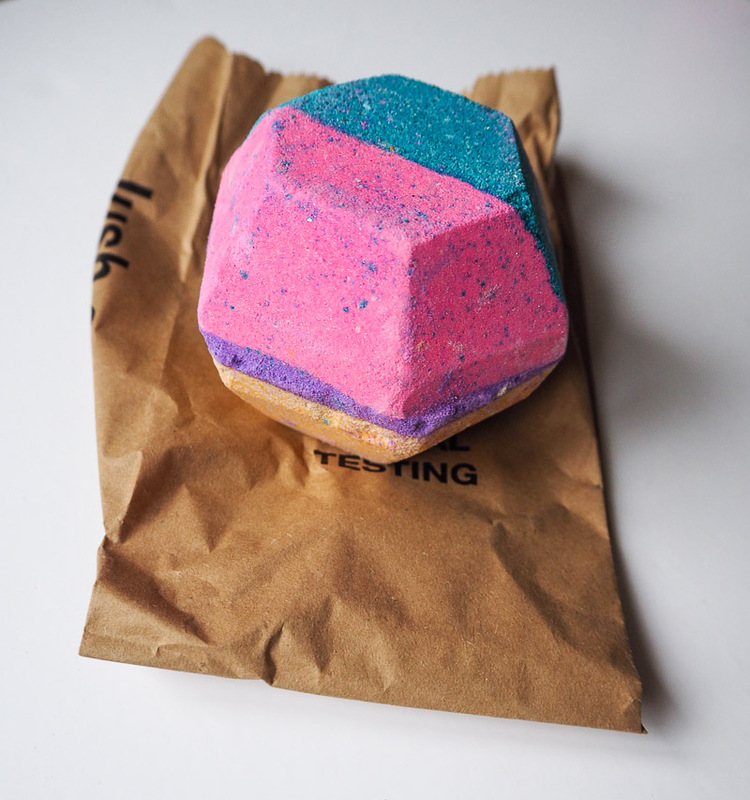 It’s one of Lush’s new permanent products that they launched last year. I’ve seen countless videos and photos of its dazzling beauty in the bath water but had yet to use one myself. When I went in store, there was only 1 left so I took it as a sign it was meant to be. It’s like a colourful explosion when you use it, and there’s even popping candy inside. It really is like a little show in your bath. It has quite an intriguing and complex smell. It contains vetivert oil which seems to give it quite a smoky, almost earthy scent, but they’ve added fair trade vanilla absolute (one of my favourite ingredients) and tonka to soften it and make it more appealing. I wasn’t that keen on it at first, but it grew on me and the aroma when it’s in the water is actually quite nice. One thing to mention is that this bath bomb was full of sparkling glitter, but it was easy to clean and rinse away after using it. I happen to absolutely love glitter, but for those who don’t it’s something to be aware of. There are lots of other products from the Valentines range that sound really nice. I desperately wanted the Lover Lamp bath bomb that’s full of cocoa butter and little red love hearts, but unfortunately when I went in they didn’t have any left which I was gutted about. Luckily though they had the new Mother’s Day things in which made up for it. There are also some beautifully packaged Valentines gift sets available if you’re looking for a present for someone special. I got some gorgeous goodies and am so happy with everything. Understandably, the unicorn horn has been very, very popular. As it’s for Valentines it’s only going to be available for a few more days though so better grab one quick. 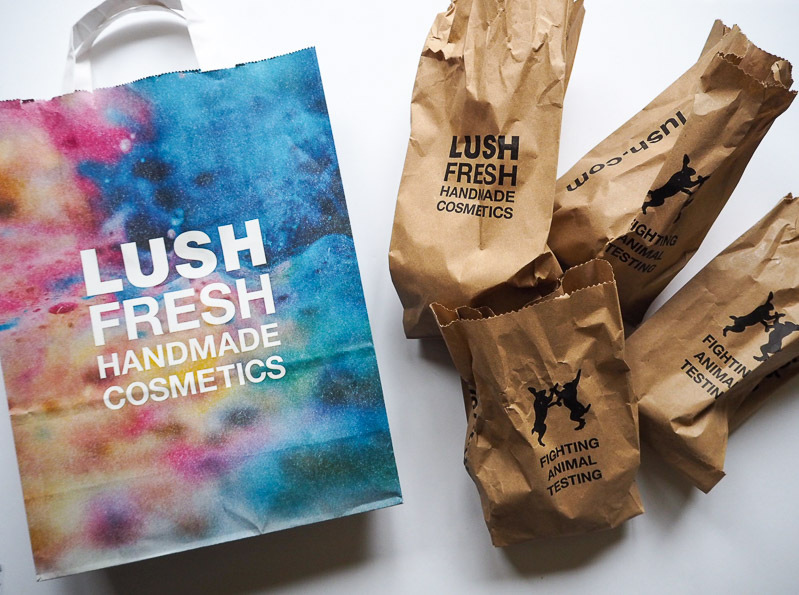 You've got to love Lush, they have such amazing products! 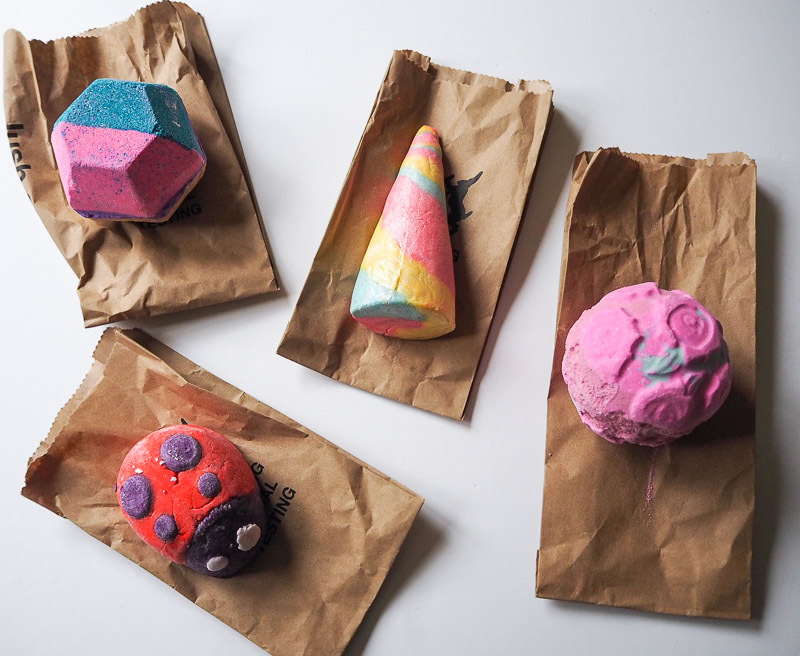 I do have a soft spot for a Lush bath bomb but haven't tried any of these so will be sure to head over there soon!! Great post! !